The compact dimensions of the slow juicer and black casing helps it easily find its place in every kitchen! By introducing healthy eating habits into our lives, we are looking for devices that will help us in preparation of such meals. 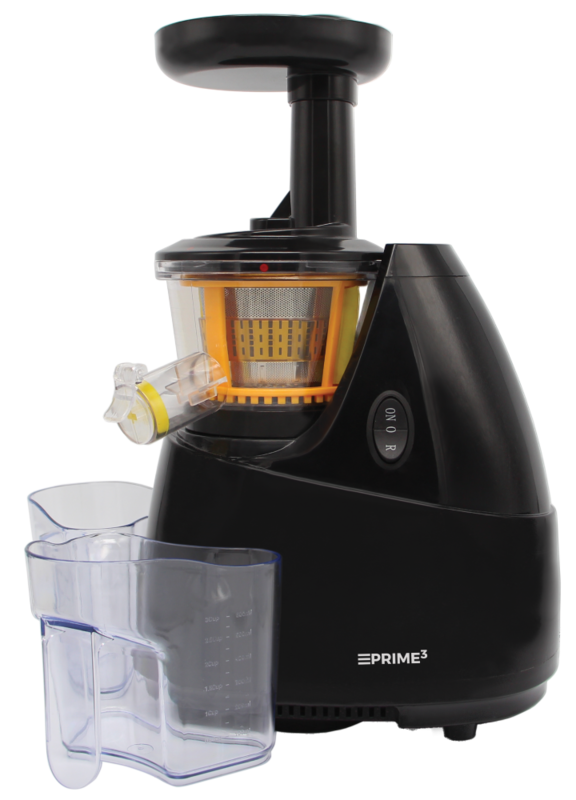 Therefore, to meet the needs of all juice lovers, both fruit and vegetable, the PRIME3 brand introduced into its offer the SSJ21 slow juicer. Regardless of whether we plan to produce homemade juice from hard vegetables and fruits, green leafy vegetables or berries, the choice of the SSJ21 juicer is the most-struck. It will cope with every recipe for healthy juice. Model SSJ21, thanks to a specially designed auger and capability of operating at 70 rounds per minute, allows you to obtain from the extruded vegetables and fruits as much as 85% of valuable juice, rich in fibre and vitamins. It is also worth paying attention to its quiet operation – below 65 dB. New PRIME3 slow-juicer is equipped in revers function. Thanks to which, we can easily handle the situation when the device locks after inserting too large pieces of fruit or vegetables. The SSJ21 model is made of high quality, health-safe plastic (BPA-free) and equipped with silicone brushes to reduce clogging of the strainer. The set also includes two 1-liter containers – one for juice, the other for pulp. 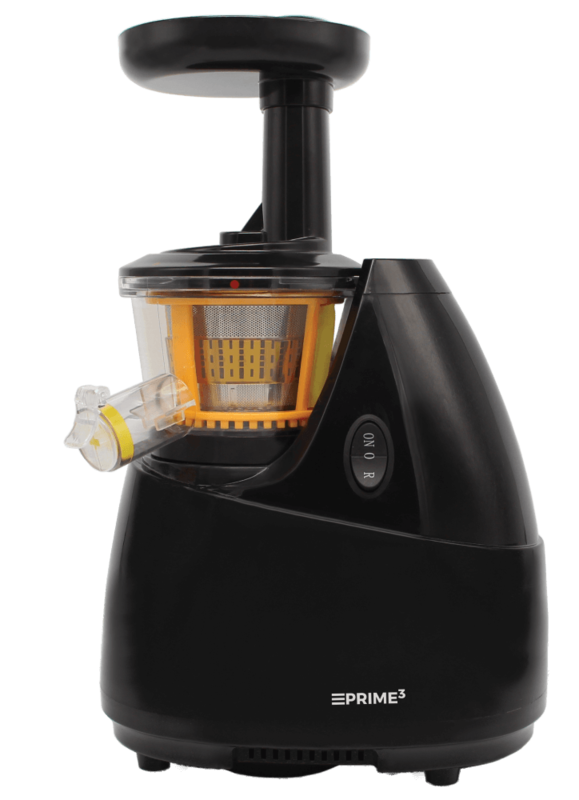 The compact dimensions of the slow juicer and black casing helps it easily find its place in every kitchen. Up to 85% juice yield!